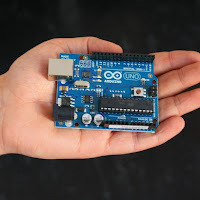 Space Tinkerer's Lab: My Arduino Uno! 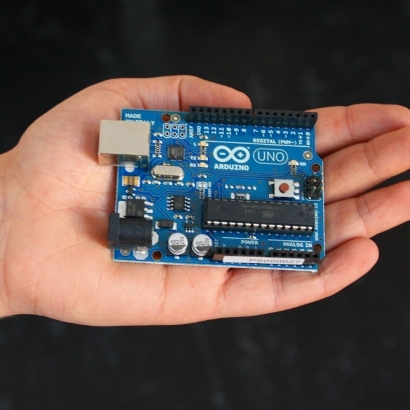 Today I bought my ARDUINO UNO. It's quite smaller than I expected. Came in a small paper case. Seems very sturdy, nice construction overall. Came as shown in the picture, no wires or anything else, so I have to go buy some LEDs, jumper wires, resistors maybe a breadboard, to start tinkering. I also need a power adapter, but i think the A/B USB cable can power the board through the PC. Anyway, I will post the results from my experiments, so check back.